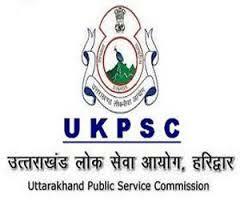 Uttarakhand Public Service Commission Recruitment Notification 2018.UKPSC inviting applications for the positions of Lecturer.Interested and Eligible candidates can apply for the positions. Subject wise lecturer post vacancies are mentioned below. Candidates those who completed post graduation degree in concerned discipline from a recognized university can apply or B.Ed holders can also apply. Minimum age for contenders is 18 years. Maximum age for contenders is 42 as on 01st July 2018. Through screening exam and interview test contenders are going to be recruited. Only online mode of application forms will be accepted by UKPSC up to 25th September 2018 till 11:59 PM. https://www.ukpsconline.in/RPS/Home.aspx is the link for contenders to apply.